Five years after a Brooklyn man admitted to the fatal stabbing of his long-time friend, an I-Team investigation has revealed new questions about his video-recorded confession and the police investigation that led to his arrest. 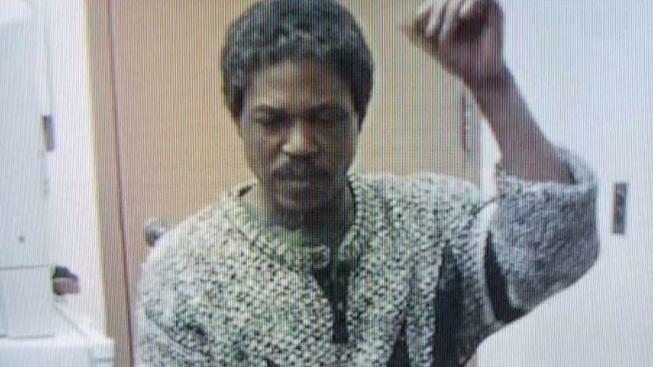 Lawrence Wright, now 60 years old, was cognitively impaired at the time of his arrest. He had recently suffered a stroke which compromised his verbal and motor skills. Jamel Wright, the defendant’s son, said he believes detectives coerced his father’s confession by taking advantage of his mental deficiency. According to the police file, at about 9:30 a.m. on Jan. 12, 2013, Lawrence Wright was taken into custody after he approached police stationed outside 2238 Batchelder Street in Sheepshead Bay. At the time, detectives were investigating the death of Lawrence Wright’s friend, Denise Pannell, who had just been found lying in a pool of blood inside her apartment nearby. She’d been stabbed 22 times with a kitchen knife. When Lawrence Wright asked if Pannell was indeed dead, detectives took him to the 61st Precinct where they spent the next 15 to 17 hours obtaining five different statements from him. Only the fifth statement from the man – taken at 2:45 a.m. the following day - was recorded on video. The NYPD declined to comment on the Lawrence Wright case, citing the pending trial. But a law enforcement source told the I-Team there were numerous elements of Wright’s confession that were corroborated by findings at the crime scene. One of those findings may be a Barry White CD found in Denise Pannell’s apartment. In his confession, Lawrence Wright mentioned they listened to Barry White shortly before he and Pannell began arguing. In the video confession, Lawrence Wright begins by saying he did not kill Denise Pannell. But in a series of rambling, stuttering answers over the next 40 minutes, he does admit to accidentally stabbing her during an argument after she picked up a knife and ridiculed him for his inability to perform sexually. “She was coming close to me with that [unintelligible] knife. I didn’t mean to do it,” he told told assistant district attorney Nicole Itkin. The question-and-answer session is hard to follow, and at one point, Itkin asked the man if he could read a written statement he signed a few hours before. The statement was prepared by detectives – because Lawrence Wright’s stroke made it difficult for him to control a pen or pencil on his own. After Lawrence Wright said he couldn’t read, Itkin quoted the from the statement herself, and asked if the confession was accurate. Now, five years after the recording of those words, Lawrence Wright’s defense attorney is asking a court to suppress the confession – partly based on the defendant’s cognitive impairment. "He has a blood clot in his brain that prevents him from being able to express things correctly. So when he says yes, he means no. And then he has to correct himself," Lawrence Wright's son said. Oren Yaniv, a spokesman for the Brooklyn District Attorney’s Office, said prosecutors are currently investigating whether Lawrence Wright’s video statement was influenced by his previous stroke. “We are seeking a full mental health re-examination to determine if this defendant was competent when he confessed and whether his confession was truthful and reliable, or rather a product of a mental disease,” Yaniv said. According to Matthew Johnson, a professor at John Jay College of Criminal Justice, the video statement exhibits a number of problems. “There are many earmarks of a false confession," he said. "The length of detention. The fact that there were earlier statements that we don't have access to." As of next month a new state law passed in Albany will require all police interrogations be recorded on video – not just final confessions. Aside from questions about the validity of Lawrence Wright’s video confession, the I-Team has discovered other potential holes in the case against him. For one, investigators found no traces of Pannell’s blood on Wright’s clothing, despite crime scene photos showing the apartment to be a bloody mess. None of Wright’s DNA was found in the apartment, either. A bloody palm print and a bloody boot print were discovered near Pannell’s body, but the police case file shows those prints do not match Lawrence Wright’s hand or footwear. “Whoever did this would have had to leave there covered in blood,” Jamel Wright said. A lab report from the case file also shows another man’s fingerprints were found on a beer can inside Pannell’s refrigerator. But it’s not clear if police ever questioned or located that person. Despite the lack of physical evidence linking Lawrence Wright to the stabbing, members of Pannell’s family told the I-Team they believe police arrested the right suspect. But when the I-Team tracked down April Johnson, a neighbor who called 911, she said she told a police officer five years ago that she saw a man wearing a public housing maintenance uniform leave Denise Pannell’s apartment around 2 a.m., six hours before her body was discovered. Johnson said she spotted the housing employee pick up a piece of jewelry in the courtyard underneath Pannell’s window, but the police officer ignored the tip. "I told him in the middle of the night it was a housing man that came in the house in the middle of the night and he went in the back and picked up a gold chain that he threw out her window. I told him that and nobody would listen,” Johnson said. The police file shows an officer did question April Johnson shortly after Pannell’s body was found, but there is no mention of her claim that a public housing employee was seen inside the victim’s home in the middle of the night. Darlene Pannell, the victim’s sister, said in the weeks leading up to the murder, her Denise Pannell told her about a male friend who was becoming increasingly aggressive. She believes Lawrence Wright was that man.